Looking for an evening of fun, music and dancing? Look no further. We are the Reel Hot Ceilidh Peppers, a ceilidh and barn dance band based in Staffordshire, England. If you're in the area then why not hire us to help you celebrate your special day. A barn dance is an ideal way to celebrate at weddings, parties, or whenever you want a good old knees up. If you or your guests have never been to a barn dance before, not to worry, all our dances are "called" which means you'll be guided through step by step, and if you go wrong, well, that's half the fun! Want to know more, check out our FAQs, or make an enquiry. I wanted to write you to thank you and your band for the performance at our wedding. It was fabulous! We really enjoyed every minute of it, and so did our guests. It was such a good idea to have the ceilidh on our wedding; I have all these pictures of guests up and dancing and smiling! It’s a great way to get everybody up and mingling; it's more fun when you get it wrong so everybody ends up with a smile on their face! Excellent! Thank you very much for all your help, for being flexible, for your excellent performance and for making our wedding unforgettable. Thank you very much for a lovely lively evening. I would like to say thank you very much for your brilliant entertainment on my 40th birthday party. I have had a great time and enjoyed every moment of it. A couple of the children have asked if they can have the band for their birthdays too! Thank you for giving me a great party and a wonderful memory. Thank you for playing at my party. Everyone thoroughly enjoyed it. I really appreciate all your hard work. The band certainly helps to put a smile on everyone's face! Just a quick note to thank you for leading our Ceilidh at The George Hotel last Saturday - an enjoyable time was had by all. The Reel Hot Ceilidh Peppers play fun and lively barn dance and ceilidh music, just what you need for a good dance. Our sound is best described as folk-rock and is produced by a line-up of fiddle, keyboard, guitar, drums and bass guitar. 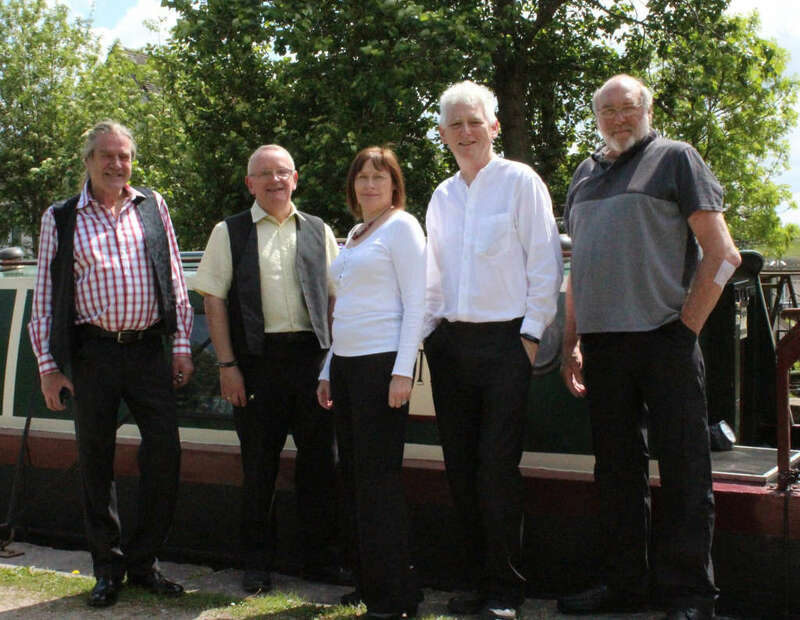 We are one of South Staffordshire's newest ceilidh and barn dance bands, but most of the members have been playing in various similar bands for a very long time. Between us we have many years of experience providing barn dances and ceilidhs.